*Ok, I actually made the scarf in January 2010. But it was still in January! 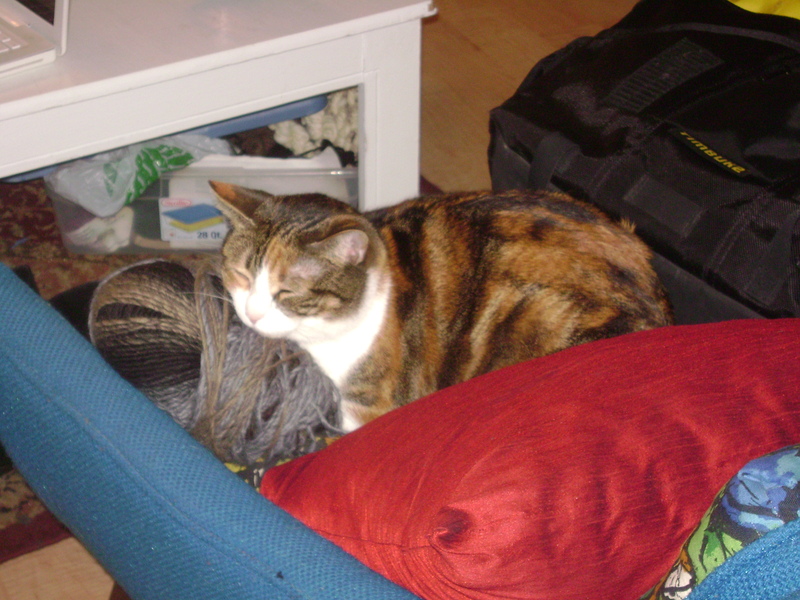 I received nearly three ball of this yarn from a friend in 2008. For two years, I simply used it as decoration, as you can see in the photo. 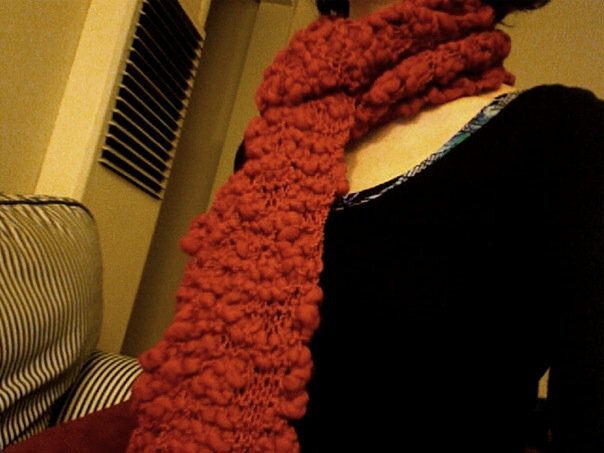 Then in January 2010, I got bored and cast 11 stitches onto size 13 needles and knit until it seemed like a good scarf length. It’s quite bulky in the thick parts, so 11 stitches was a good width. But I still had a significant amount left over. I love the color, so this winter I searched ravelry to see what else I could do with it. Turns out, yarns like this just don’t look good in anything but really simple patterns. Once I realized this, I settled on the Overnight Hat. I made the small/medium version and it turned out great. 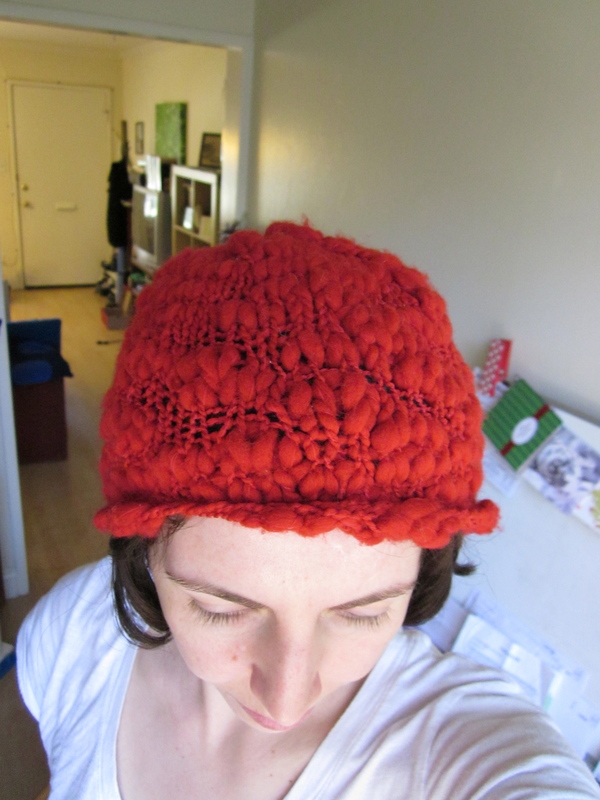 True to its name, this was a really quick hat: I made it while watching several episodes of Parks and Recreation. The funny thing is, I get more compliments on this hat than any other I’ve made. The thick and think texture makes it look more complicated than it it. Of course, the color helps too—putting these items two side by side is visually intense! 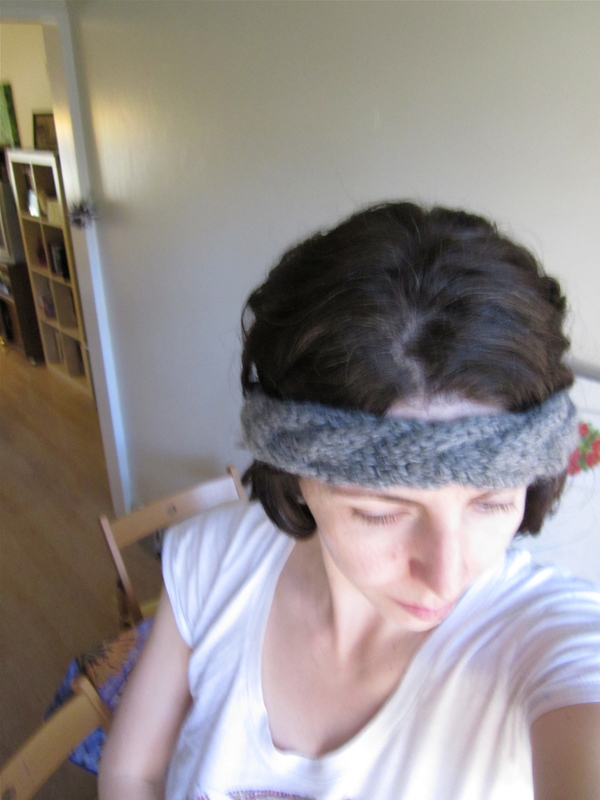 I tried several patterns before hitting on the first one that actually looked good with this yarn—the Vanessa Headband. 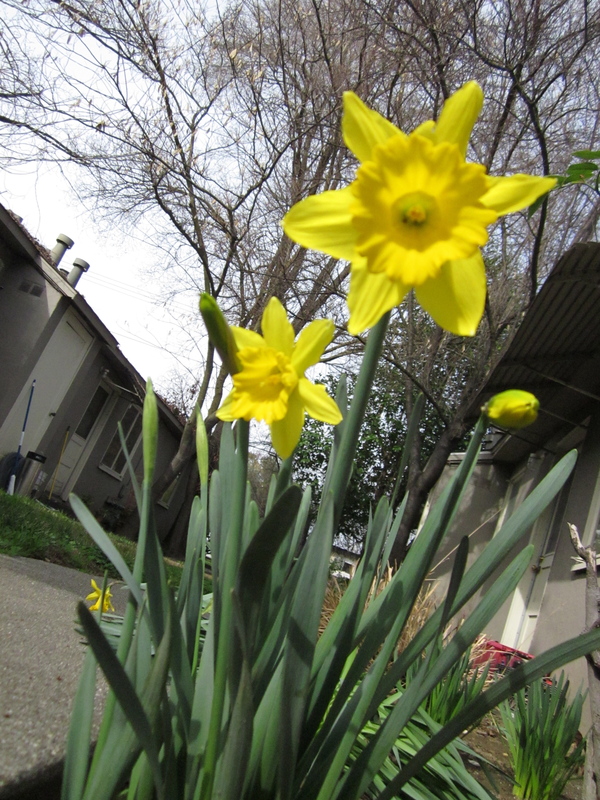 As you can see from this admittedly blurry photo, I made the thin version, though I’d love to try the wide version too. I’m really bad at remembering where I am in a cable pattern, but it was also a pretty quick knit. I usually wear it with the all gray side facing the front. Depending on how much my hair has grown out, I can either wear it as a headband proper or as an earwarmer—which is actually quite useful when riding a bike in the early morning hours of winter. 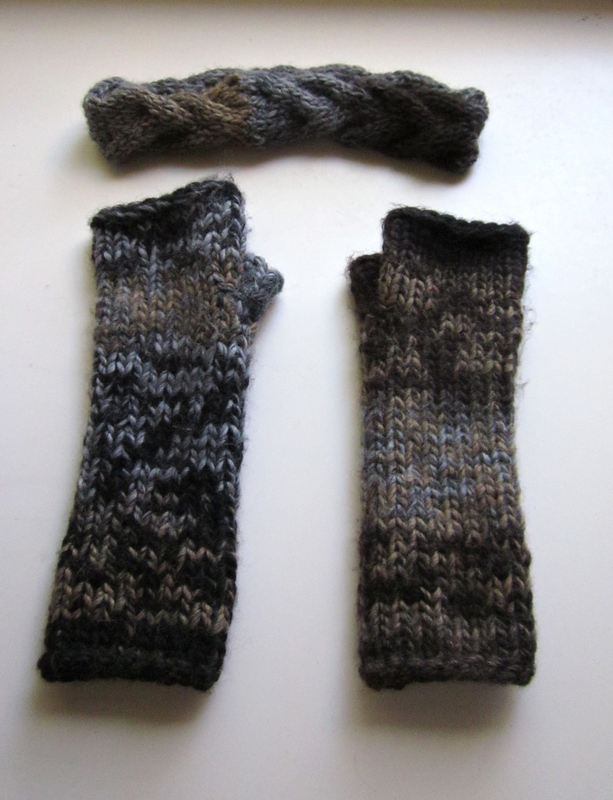 To use up the rest of the yarn, I eventually settled for modifying the pattern for Gradient Mitts. I made the small on size 10 needles and the fit turned out perfect—I’m getting better at adjusting for bulky yarns and my own loose gauge. I didn’t do the gradient color pattern, but I did pick these because they looked good in odd color combinations on ravelry. I knew that no matter what, I was going to get two completely different looking mitts, thanks to the weird color pooling of the yarn. So with a little bit of planning, I divided the yarn into two balls and held them together double stranded while I knit—this helped break up some of the color pooling. 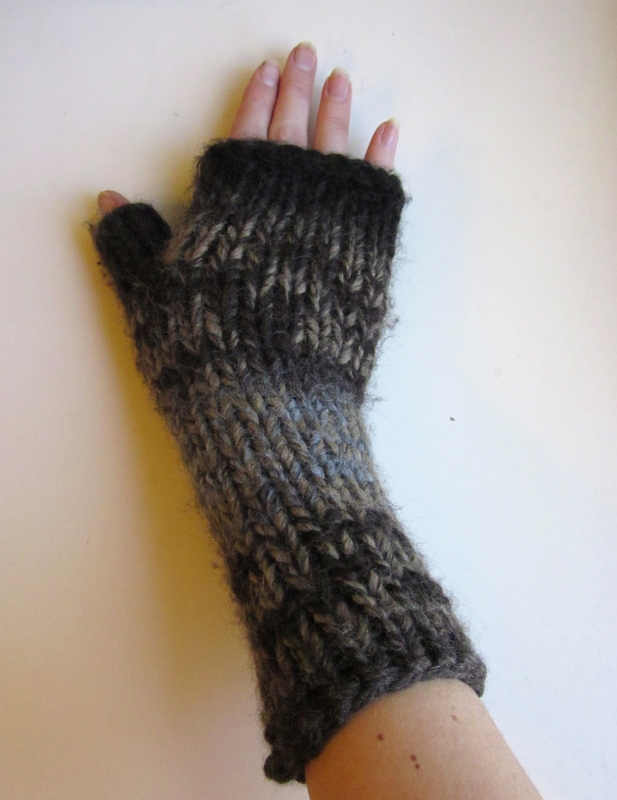 Finally, I added half thumbs to the pattern by picking up stitches around the thumb holes—I found that my poor thumbs were just too cold while riding a bike or driving with these on. But now that I’ve done that, I really like them. So those are my quick winter knits! I have one more I’m working on, but it’s not done yet, so I’ll save it for another time. 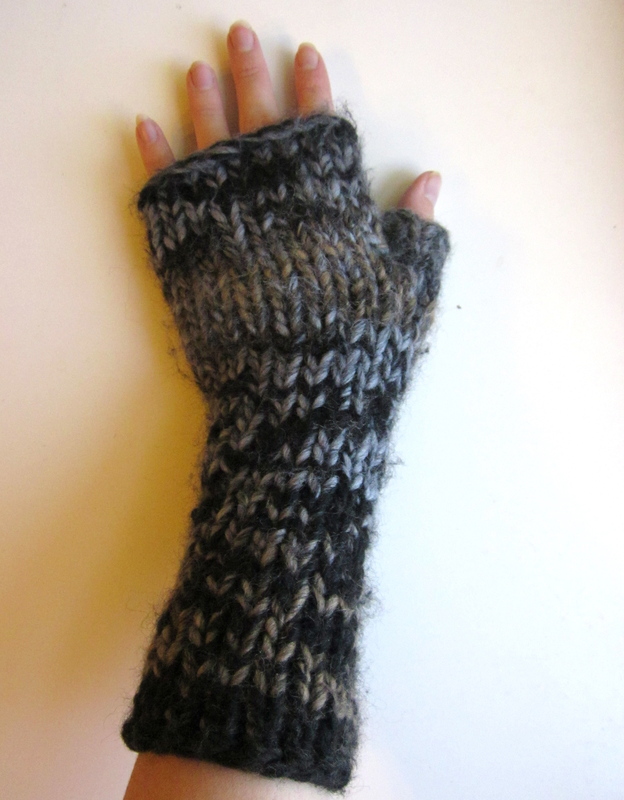 And if anyone knows of any other free, quick winter knitting patterns, send them my way before it gets too warm! 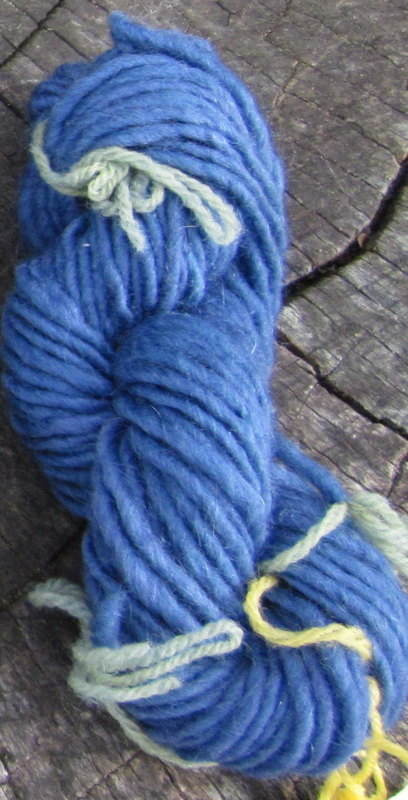 Natural dye tutorial: blue yarn from black beans! EDIT: Want to see what I knit with blue yarn? Check out these other posts! 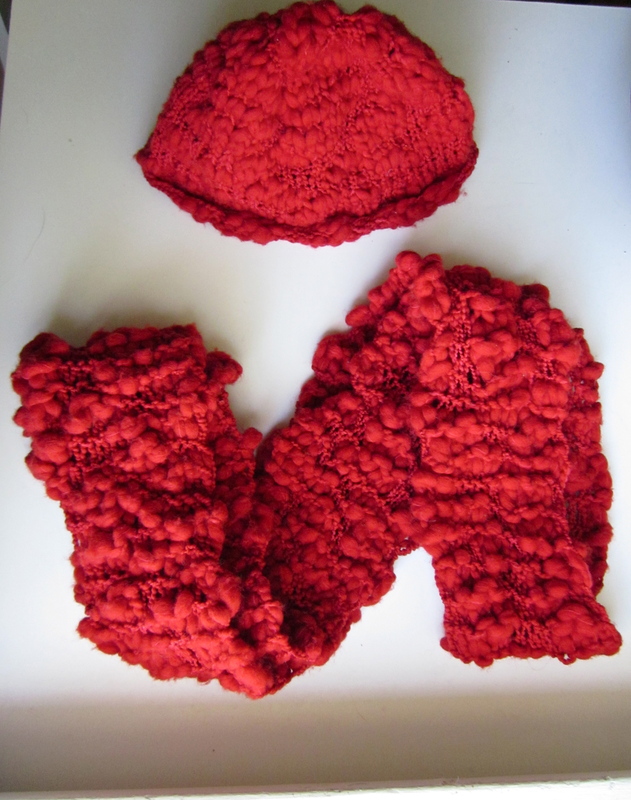 Welcome to my dye tutorial, the most popular post on my knitting blog! This is a cold water dye using regular black beans, designed to be used on yarn made of wool or other natural fibers (it won’t work on cotton, acrylic, etc.). There’s a lot of soaking time involved, so expect to have a finished product after three or four days. If you have a question, put it in the comments and I’ll respond. Enjoy! I have a really awesome fiber dye experiment to share! As you can see from above, we got several lovely shades of blue —a difficult color to achieve —in a process that took about four days start to finish. Now that I have a spinning wheel(!) and some wool, I’ve been wanting to learn about natural dyeing. 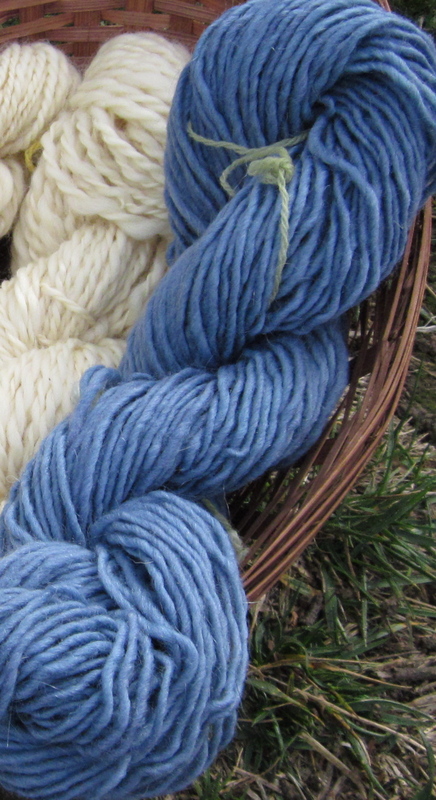 Since blue is my favorite color, I gravitated toward information about natural blue dyes. Turns out there aren’t that many. 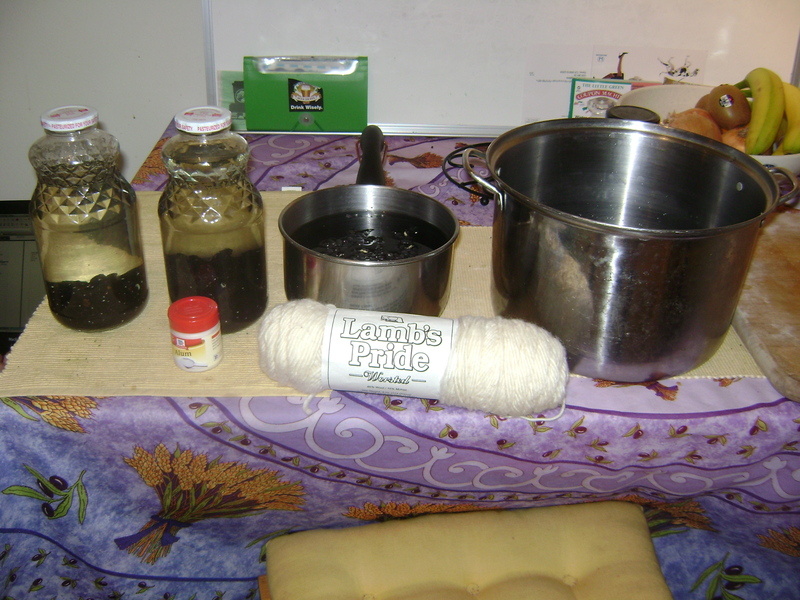 Indigo and woad are the main ones, and they sounded like a lot of work for a first time dying project. Then I came across web posts on black beans as a blue dye. 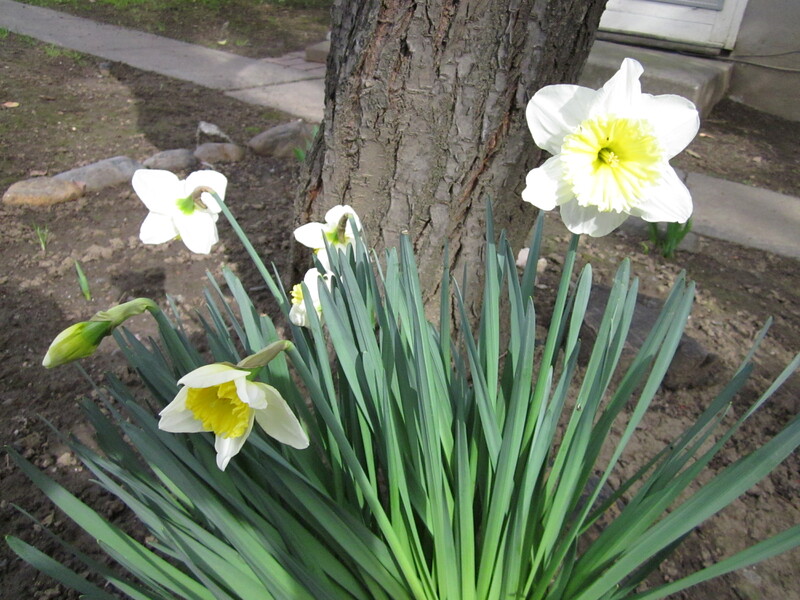 My favorites were blog posts at waysofthewhorl and brambleberriesintherain (now defunct), which then led me to the discovery that there is a ravelry discussion thread (login required) that is many years old and has hundreds of posts! Needless to say, I was overwhelmed with information. At the same time, no one post seemed to describe exact amounts of beans, water, and yarn used, nor exact times for the different steps involved. So with a little help, we set out to do a test run with all the steps and amounts recorded. 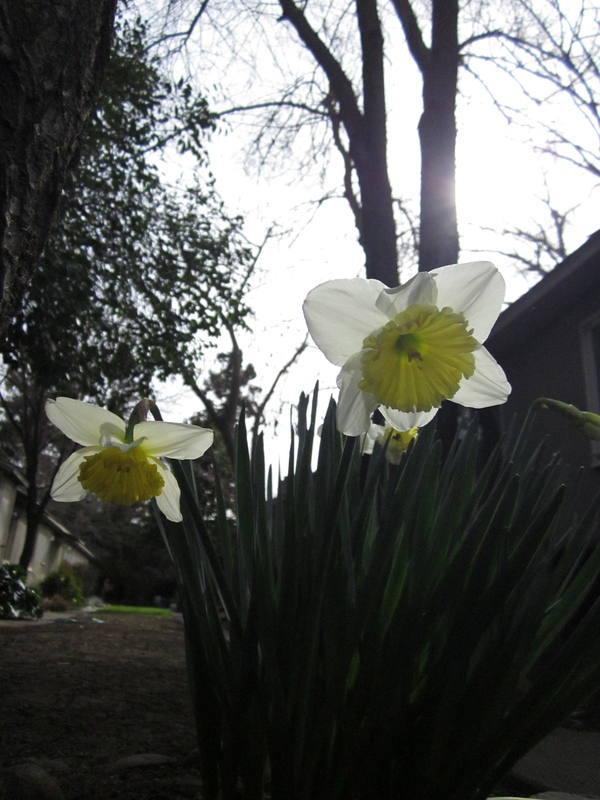 As a caveat, not everything went as planned, record keeping wise, but we did out best. First, figure out how much water and beans to use, choosing a ratio from below. 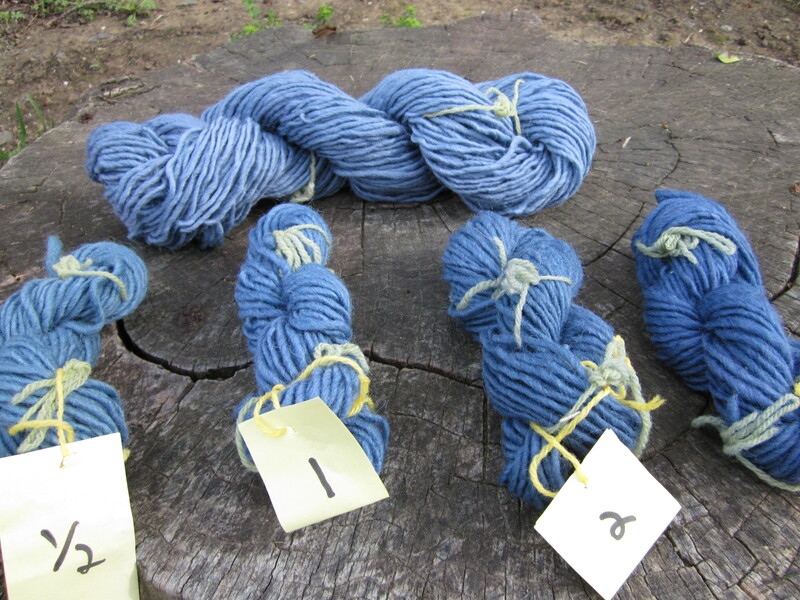 Each of the numbered hanks of blue yarn in the photo above is 1/2 oz (14 g) of yarn. Make sure that you have enough beans and water to create enough dye for your yarn. I strongly urge to get more than you think you need because beans absorb water at a higher rate than we bargained for. You’ll need enough dye to immerse your yarn. Let each of these bean and water combos soak for 24 hours. This is a cold water dye, so it needs time. I preferred the glass jars for this. To get the best dye, you’ll need to get as much of the bean water with as few bean particles as possible. From what I read, the pieces of bean tend to make the yarn more gray than blue. We strained out the beans, let the dye settle for an hour or two, then siphoned the water off from the top using the food grade tubing so that the bean particle matter did not make it into the final dye. . Other people on the internet suggested spooning the water out and leaving the dregs. When are 4 hours away from completing your 24 hour bean soak, start preparing the yarn. Alternatively, you can do this part earlier and let the yarn stay soaking in the mordant pot overnight. I separated my yarn into four 1/2 oz skeins tied with bits of a thinner yarn to keep them from getting tangled, then unwound the skeins and soaked them in water for 1 hour. For mordanting 2 ounces at once this comes to about 3/4 of a teaspoon each of alum and cream of tartar. I will admit that I was probably closer to 1 tsp each, because I couldn’t find my 1/2 tsp measuring spoon. It still worked. Dissolve the alum and cream of tartar into hot water and add to the stovetop pot along with enough water to cover the fiber. I added the water soaked yarn and brought the pot to a simmer. **Important note: do not change the temperature of the yarn too quickly, it can cause felting** I simmered it for an hour then turned the heat OFF. I waited another 2 hours until it had cooled off, then removed the yarn and rinsed it off with clean water that was the same temperature as the yarn to remove any excess mordant (using a little pH neutral soap is supposed to help). Finally, the fun part—adding the yarn to the dyes! As you can see, some of our dye lots barely covered the yarn, so we turned them upside down or right side up periodically to avoid unevenness in the color. We let them stay in the dye for 42 hours. I’m sure an even 48 hours would be great, but sleep comes first. During this time, I discovered something that no other blog really mentioned: the color you see immediately can be quite different from the final color. Observe what the yarn looked like about 10 minutes after I put it in the dye: That’s right—it was a light purple color! At first I was disappointed that all our effort to get blue failed, but in an hour or two it started changing into the blue color you saw in the previous picture. The photo in the blue plastic jar came from round two of dyeing the yarn. After I took out the four small test skeins, I still wanted to dye the remainder of the yarn. So I soaked and mordanted the remaining 2 ounces of yarn, poured all four dye lots into the blue plastic jar, and let it stay there for 48 hours. Not very scientific, although hopefully you can see in the photos that it came out a slightly grayer and more muted shade of blue—one which I still quite enjoy. The darkest one is a distinctly deeper shade of blue than the rest. The difference between the two lightest shades is less subtle here, but in person you can definitely tell. 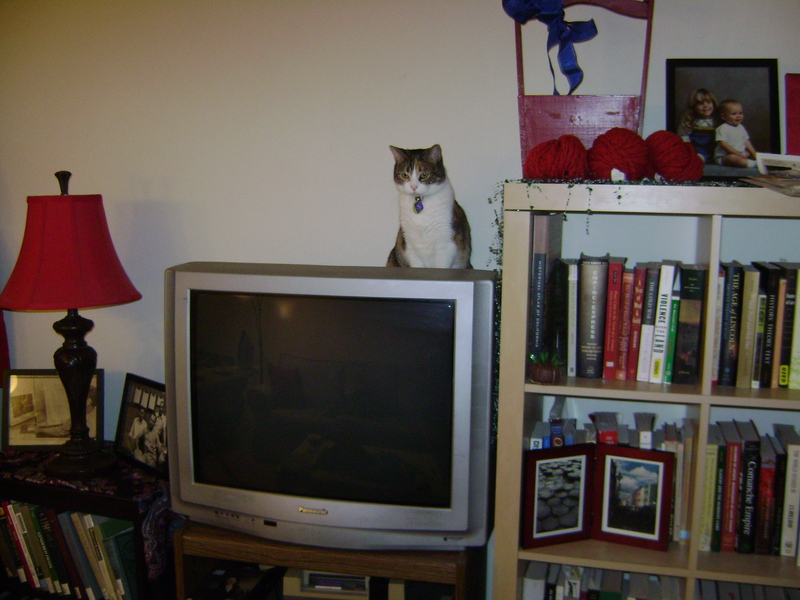 And the last one of course has a distinctly grayer tone. *The pH of your water can affect the final color of your yarn even if you do exactly what we did. I did some research and found out the tap water we used was rather alkaline, with a pH close to 8. I once saw a blog post that said they got a blue green color from acidic water. If you don’t know what pH your tap water is, you can use the red cabbage test to estimate it. Since creating this tutorial, I have gotten several questions about how much this blue color fades over time. The answer is yes, is does fade over time, but it still looks nice. So yes, the lighter blue yarns that were grayish faded to a blue gray over time. For more on this project, check out this post. I still love this cowl!